"Ready or not, here comes baby! Talk about a bump in the road. Whether you were waiting until "the right time" to have kids or hoped and pleaded the day wouldn't come, you'll breathe a sigh of relief when you flip through Oops! 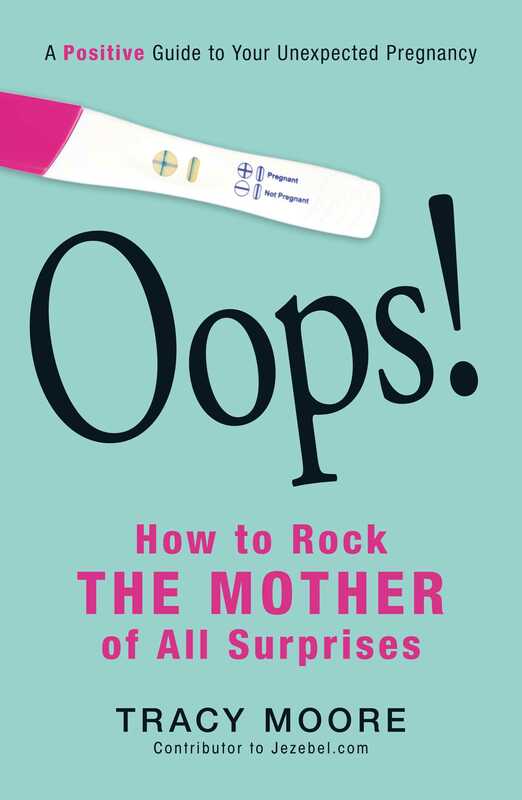 In this collection of humorous essays, Jezebel.com blogger Tracy Moore shares her personal experiences with jumping headfirst into motherhood--without a clue what she was doing. Unexpectedly pregnant at thirty-three, Moore's life completely changed when she had to give up her beloved cigarettes and cold deli meats and quickly learn how to care for the little bundle of (ahem) joy growing inside her. Her honest advice will help you cope with all the changes and feelings that will occur on your way to parenthood. From stockpiling baby supplies in just a few months to being the lone sober one at a party, this book answers all your questions and braces you for the unexpected.